One of the Oyster Mushroom projects had a successful flush after sleeping through the winter. 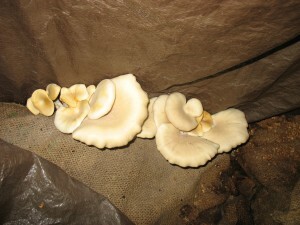 The project started with burlap sacks filled with coffee grounds and oyster mushroom spawn. The sacks were stacked , bunker style outside, and left through the winter. There was encouraging signs of life this spring and the bunker started getting water regularly. 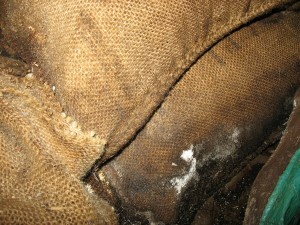 The gunny sack material sprouted mycelium throughout. 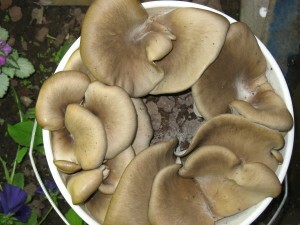 The first flush was large, and the mushrooms were tender and had a light licorice smell. The clusters pulled from the fabric easily, and were pretty clean. Some pictures of this years mushroom crop! The coffee grounds came from Wild Joe’s (thanks to the crew there!) 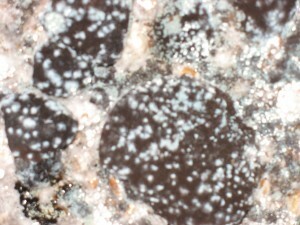 The spawn was purchased from fungi perfecti. When you find a good oyster mushroom source, you often find more than you can eat right away. Oysters don’t store or keep very long after picking, so you are better off to store some for those cold winter months. 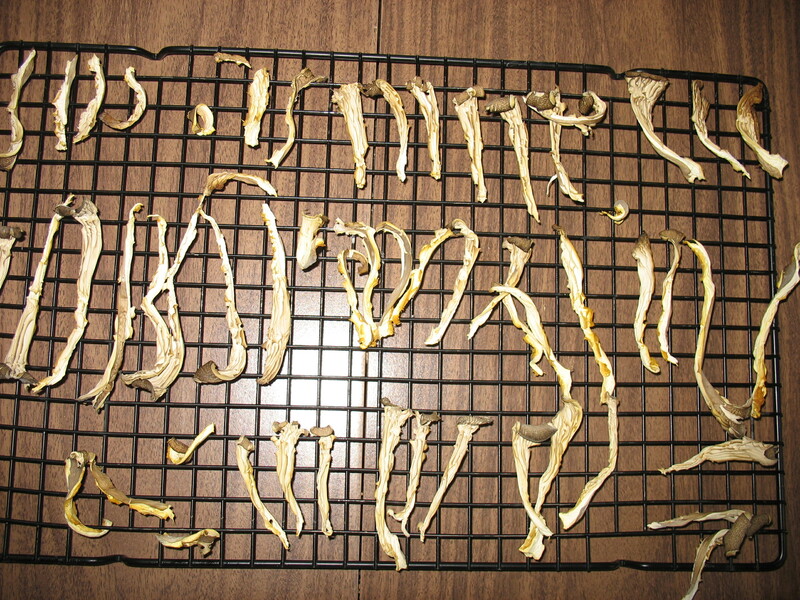 My favorite way to keep mushrooms around is to dry them. 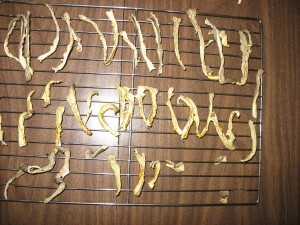 After eating my fill of the harvest, and sharing some , I proceded to dry the excess. The process is simple and easy to do! 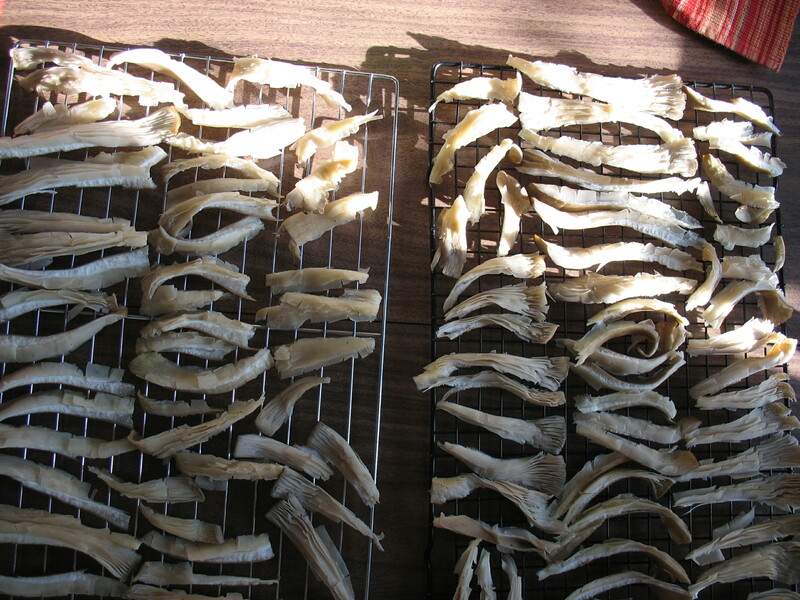 First you clean the mushrooms. 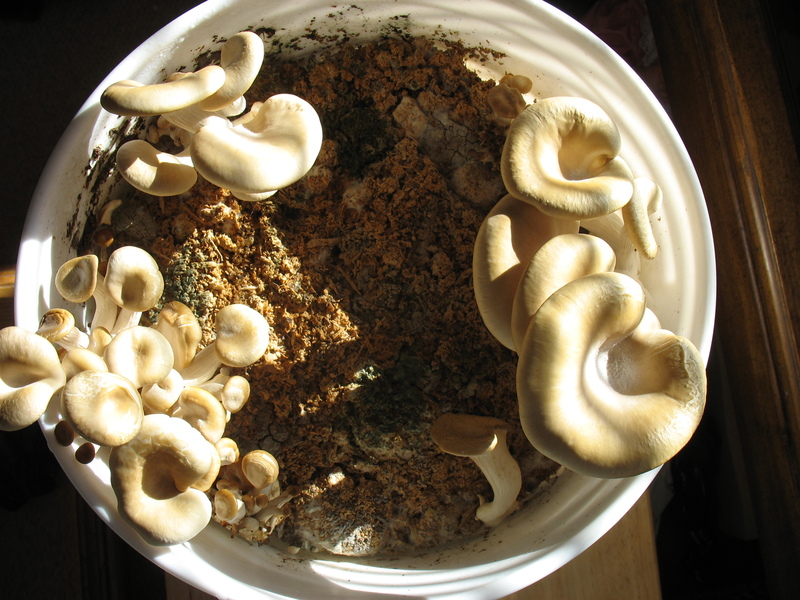 This batch was pretty clean since they came off of coffee grounds. 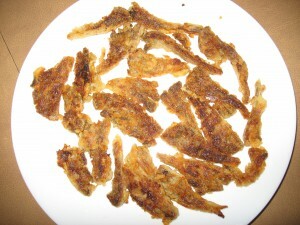 I had to rinse them a little and dryed them off on paper towels. The mushrooms were then torn along the gills to a mangeable size. 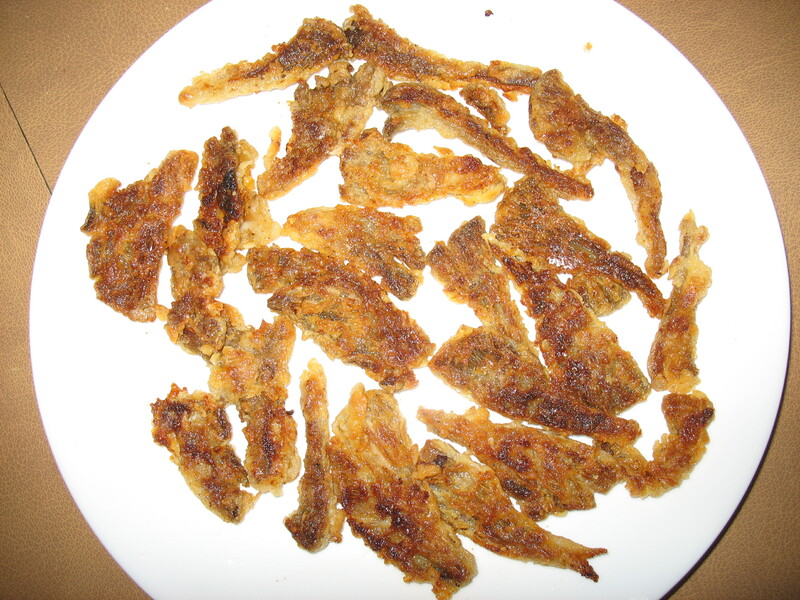 This batch was dryed on racks on the counter for several days. 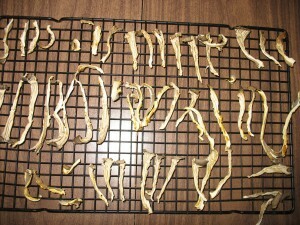 After a few day of drying the mushrooms looked like this. 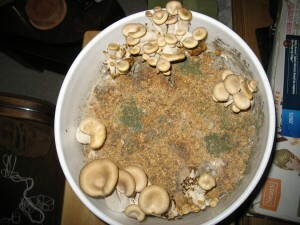 Notice how they have shrunken up since mushrooms are mostly water! 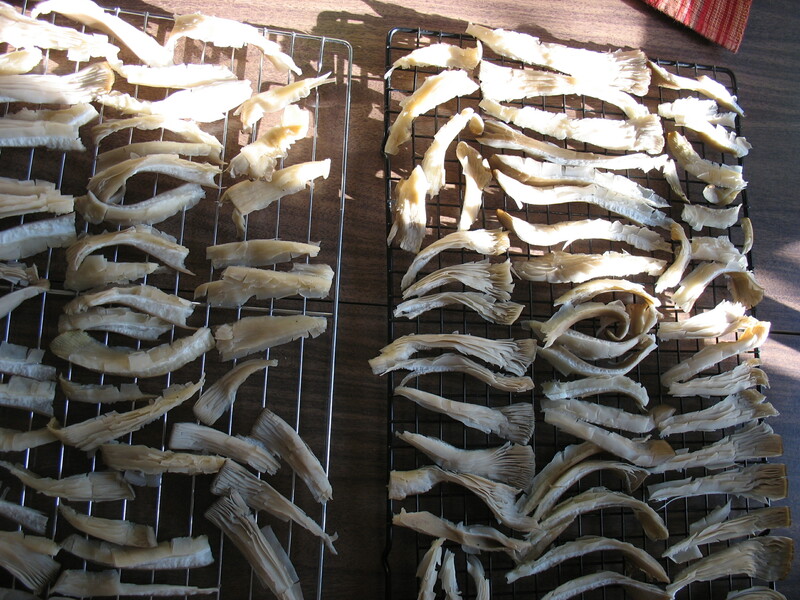 When drying large amounts of mushrooms or meaty mushrooms, we use a dehydrator. 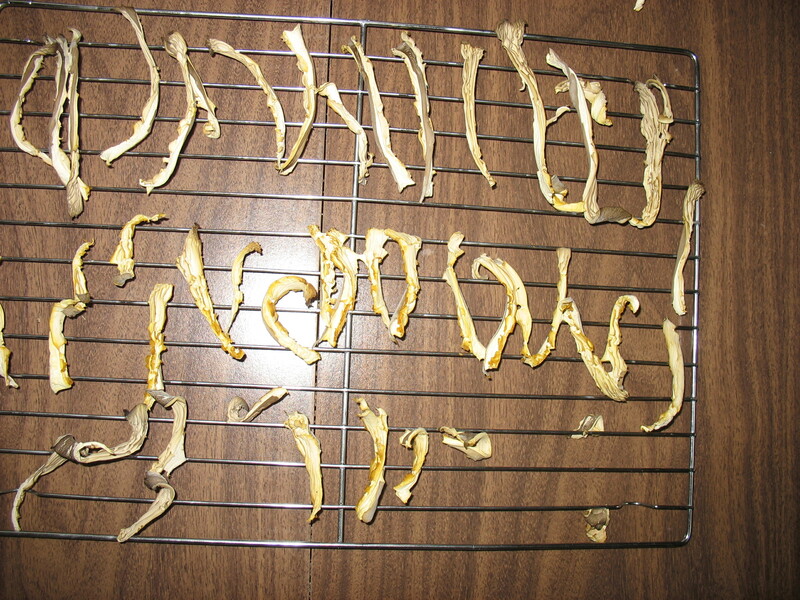 The main thing is to make sure they are completely dry before you jar them up. At this point they go into labeled mason jars for storage. When rehydrating mushrooms you can boil them a bit in water. Make sure you use or save the broth. This is where the flavor is! Rehydrating in milk works well, especially if you are going to flour and fry them or make gravy. 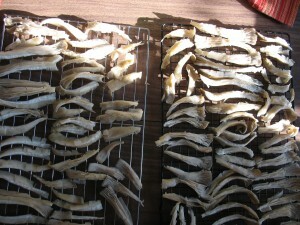 I like to throw them in soups or sauces and let them rehydrate in the liquid of the dish. 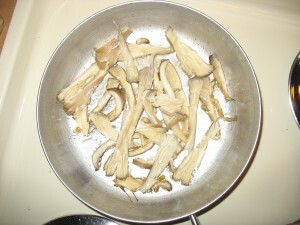 Mushroom soups made from dryed mushrooms are excellent and in most cases, better than fresh mushroom soup. So pick when you can, eat all you can, and store the rest. 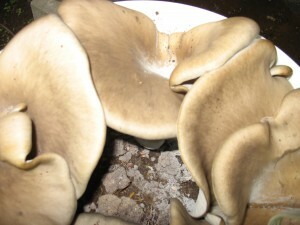 You will be very happy you did on those months when the mushrooms are not flushing! 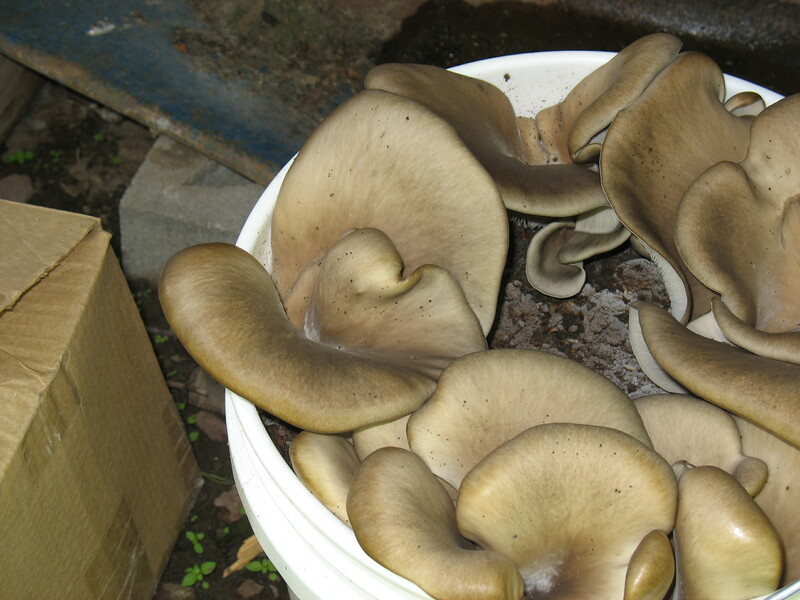 After successful harvest of oyster mushrooms grown on coffee grounds, the enjoyable job of cooking and storing the harvest begins! 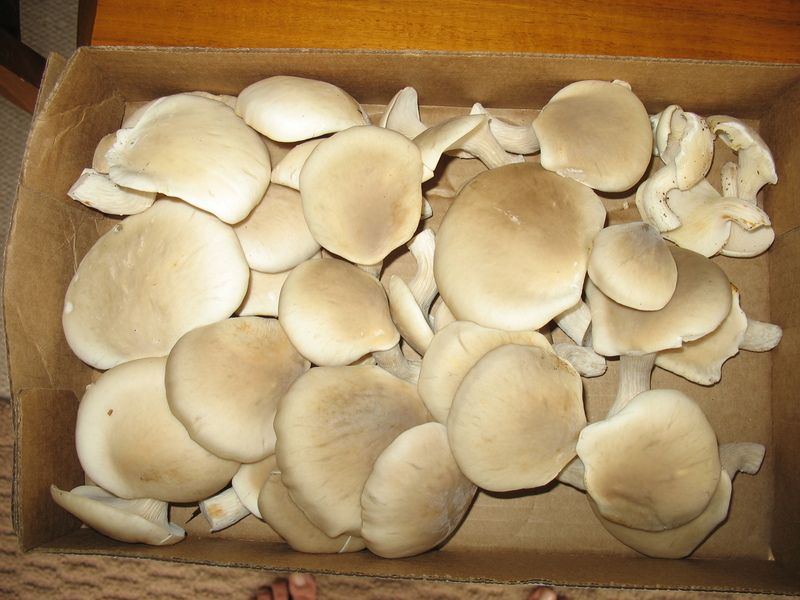 The first thing to do was to eat them and see how they taste. Oysters change flavor a little when grown on different hosts, and I was curious how the coffee would affect it. 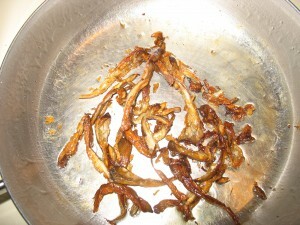 The mushrooms were torn in small strips and fried in canola oil. They were delicious! 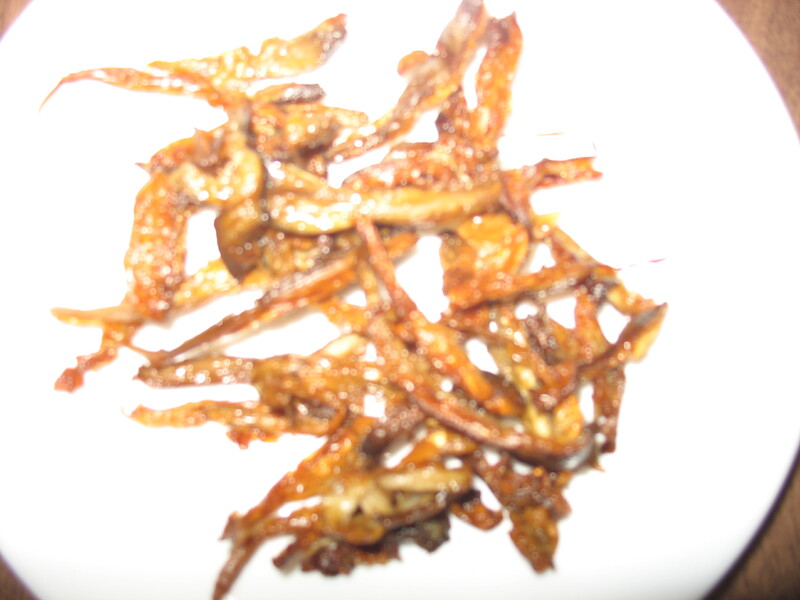 I think they were a little sweeter than the others I have eaten. The texture was firm but not woody at all. 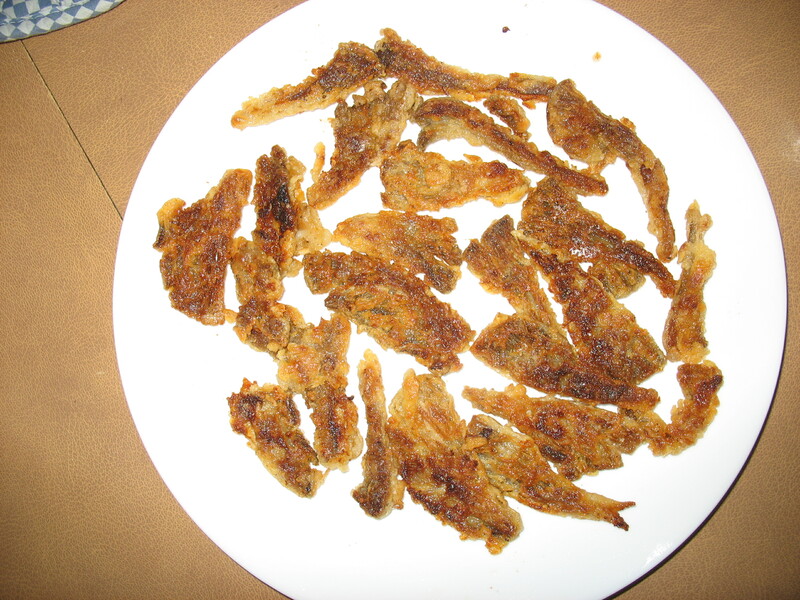 We decided to try them dusted with flour and cooked with a little butter added to the oil. 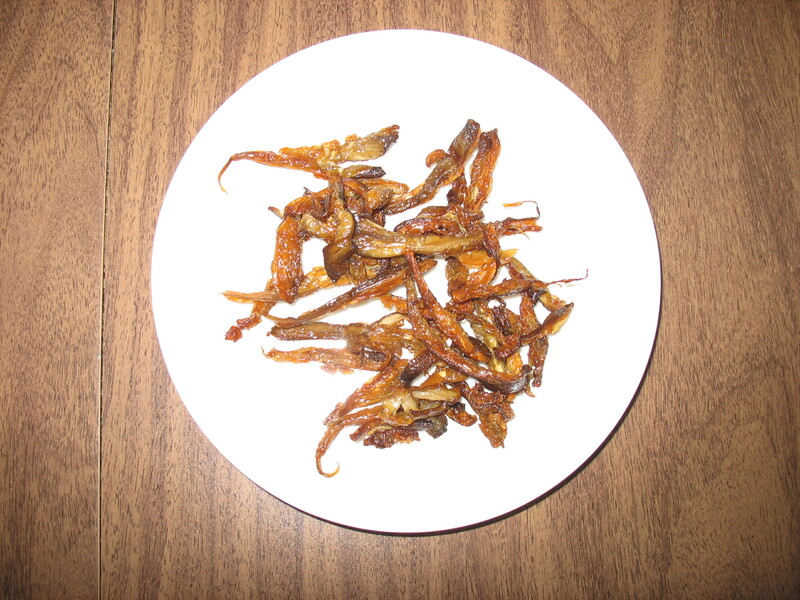 They were delicious also and held up to the process very well. We will cover saving the excess next! 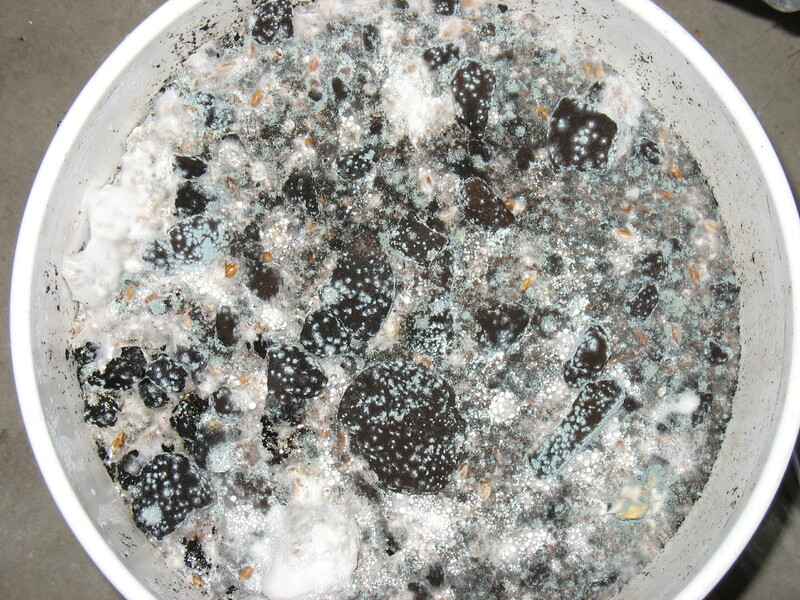 Was headed out camping and walked by my coffee grounds bucket, and was shocked by what I saw! This what the project looked like in April. I had been around this area earlier in the week and didn’t notice anything! 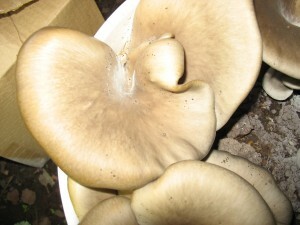 Beautiful luxurious Oyster Mushrooms! They are growing quite well, and I can’t wait to eat them. 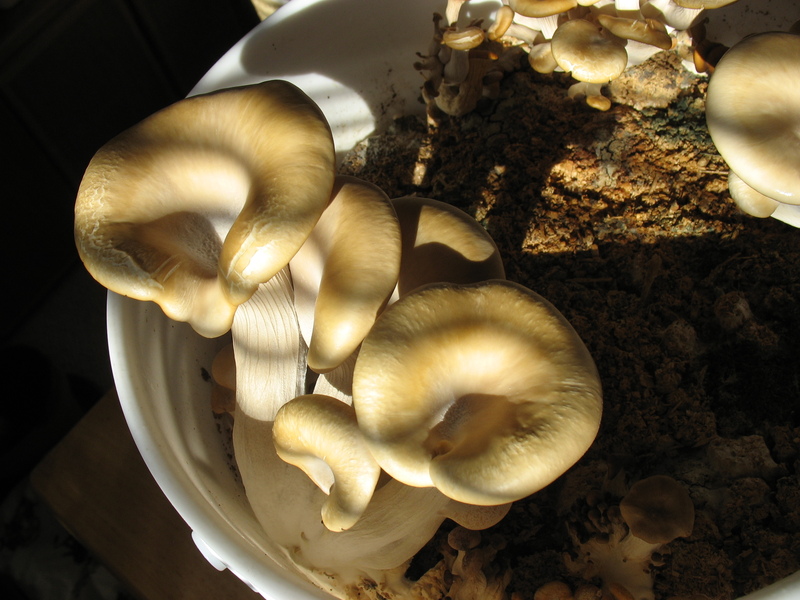 This marks a growing success for me, because this was the Oyster growing project I was most interested in. Tons and tons of coffee grounds are wasted in our landfills each year. This proves that food can be produced using this waste product. 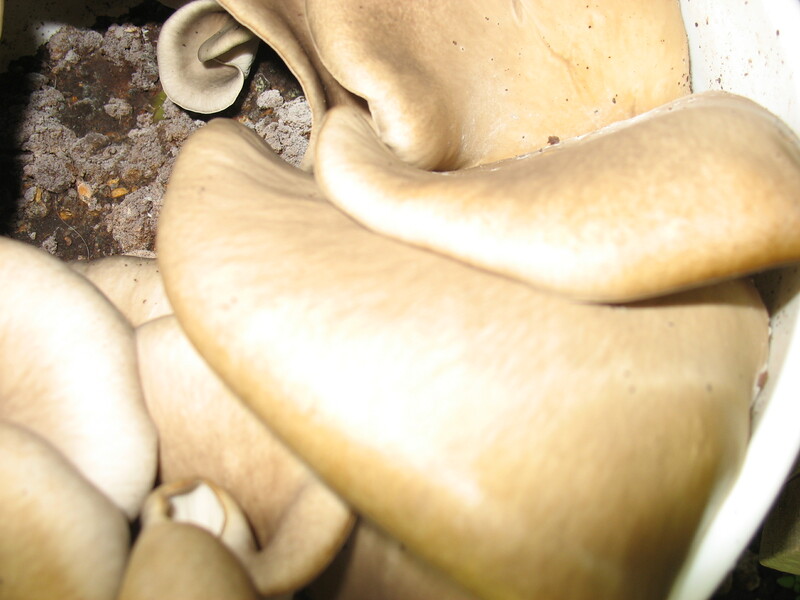 Not only does it keep this valuable resource out of our landfills, but the mushrooms also neutralize the caffeine in the grounds. Once again the process was low cost and not labor intensive. The spawn was just simply mixed into the coffee grounds and left to grow on it’s own. 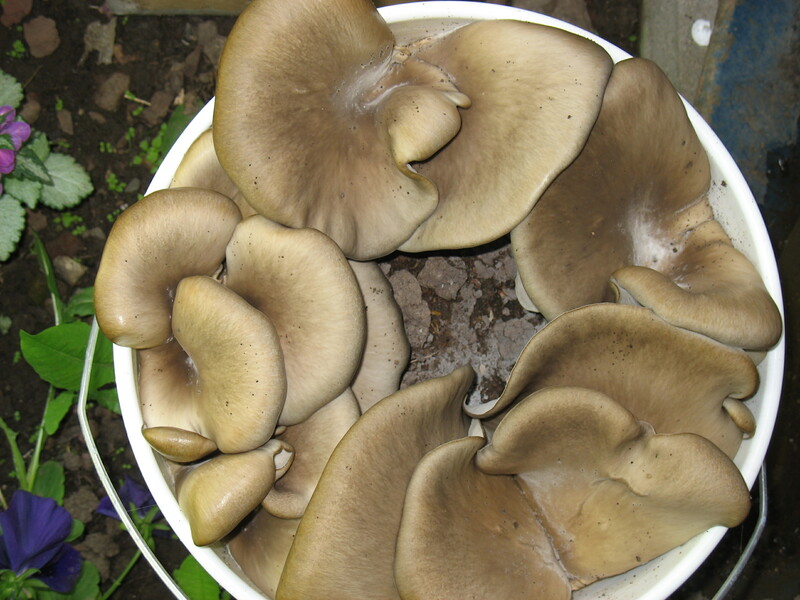 I can see a real use for these mushrooms in poor countries with shortages of food, and plenty of waste. 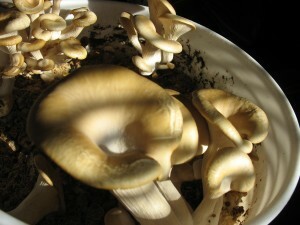 Thanks again to Wild Joe’s for the organic coffee grounds, and Garden City Fungi for the spawn.